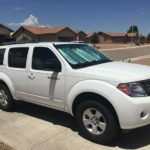 Today (September 9th, 2016), we have listed 9 new Nissan Pathfinder ads to our site. These listings span 2 different states and 8 model years. See the top 3 listings from the update below. You can also see the recent ads by Clicking Here. 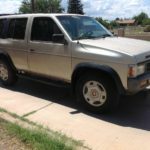 1995 nissan pathfinder 4×4 suv,3.0 v6 engine,5 speedmanual transmission, am-fm cd player,a/c.……. 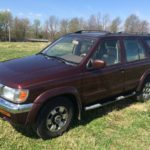 1999 nissan pathfinder le, with 151000 miles, it has the v6 motor with an automatic transmission.…. This entry was posted on Thursday, September 8th, 2016 at 11:57 pm	and is filed under Uncategorized. You can follow any responses to this entry through the RSS 2.0 feed. Both comments and pings are currently closed. Use the search box above to find a specific type of Nissan Pathfinder. If you want to check for vehicles by year or state use the links below.